What you see above are two things I was given back in 2008 when I started working on redesigning the logo for one of Polish most renowned luxury brand – AS Ćmielów Porcelain Manufactory. 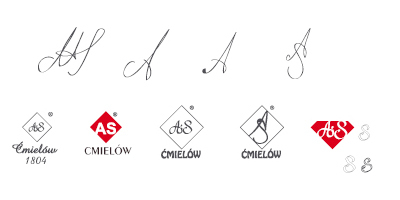 The first one is obviously an old logo. 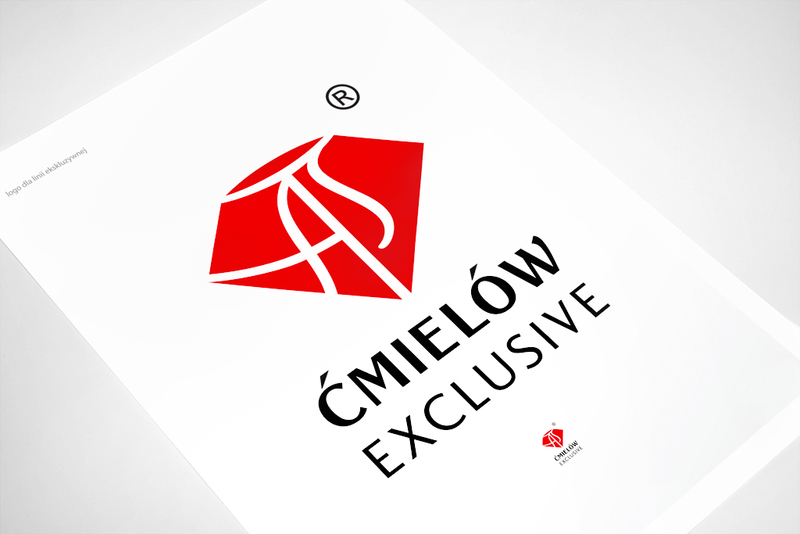 The second one was to serve as an inspiration on how the newly-designed logo might look like. But that's not all the Client was asking for. At the time, Ćmielów Manufactory was planning on expanding their offer with their newly-designed porcelain jewelry collection. 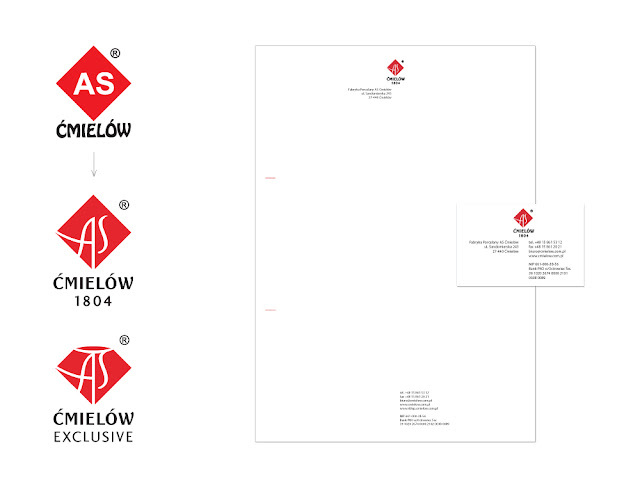 They needed a new brand that would still carry the message of Ćmielów Manufactory's brand. But did they really need a new brand? You'll soon find out. As you can see, in the beginning I started by experimenting with calligraphic approach to the letters (which were the founder's initials). 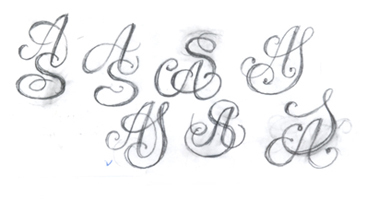 Even for a start, I wasn't satisfied with the results and I didn't really want to go all the way calligraphic as in the example I got. What I felt was that the brand really needed something fresh and minimalistic, yet maintaining the style of porcelain figurines they're creating. But what I also knew was that it wouldn't be smart to throw away all the history behind the brand and everything they were working on for many years. So I decided to make a fresh start and look for the right typeface that would be similar enough to the old logotype, but still have better proportions, rhythm and letterforms. Okay, then. I had the right typeface. But what about the logo and new brand? As you might have noticed in one of the above slides, I cut away the upper part of the rhomb that was a base for the logo. Therefore I created a diamond-y shape that would work perfectly for the new porcelain jewelry brand. And that's what made it click all together, without actually breaking down everything the brand was before. What you see above is a base design I created to further work on. As you can see, everything was still in a phase of experimenting with widths, strokes and general shapes. Then came the process of polishing the designs until they could work together as a system. 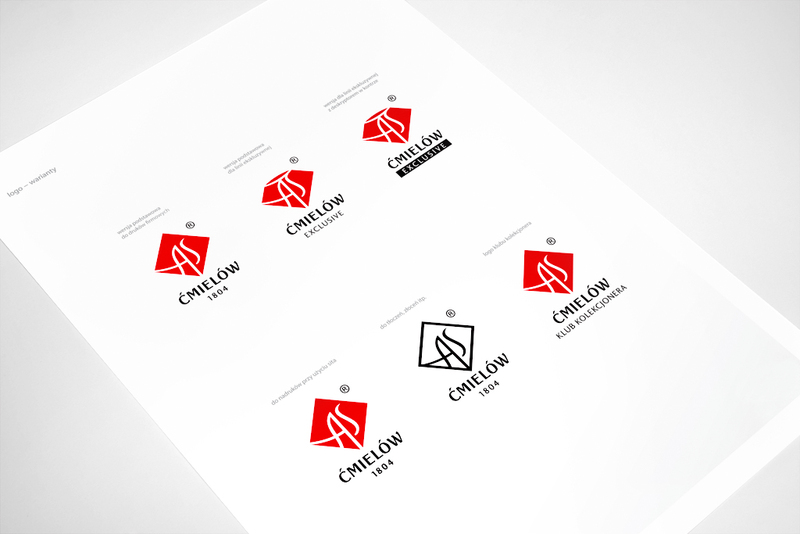 Below are finished logos approved by the Client. The founding date in the basic logo was used to emphasize strong traditional background that is very important when thinking of a luxury brand with history behind it. Nice blog! Design quality luxury custom homes that successfully sell as well as capture the imagination of clients and fit their dreams and luxury personality. A strong brand is invaluable as the battle for customers intensifies day by day. To succeed in branding you must understand the needs and wants of your customers and prospects. Thanks.